A certain camp is coming back stronger than ever this year, and while lovers of archery will be pretty much in the same boat they were in last summer, beer lovers are jumping for joy. 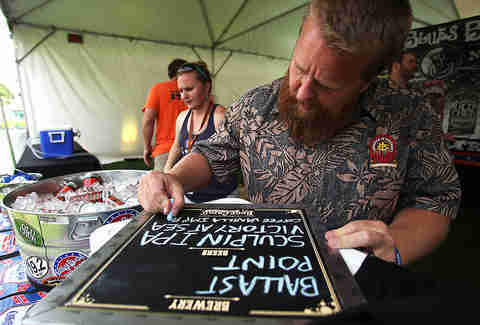 The 2016 roster of Beer Camp Across America -- Sierra Nevada’s festival of craft brewers and brew-drinkers -- is fast approaching 700 breweries, all-told making it one of the biggest beer fests in history. Beer Camp began in 2008 as a just-for-the-hell-of-it, collaborative gathering between brewers from across the country, where new and unique flavors were innovated, enjoyed, enjoyed a bit more, and then released by Sierra Nevada in limited quantities. While that’s still the premise, it soon became clear that this was too much fun not to share. 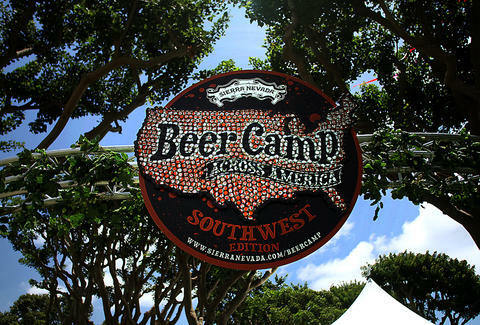 In 2014, Beer Camp went national with Beer Camp Across America, a seven-stop tour that brought these new flavors to folk all… across America. 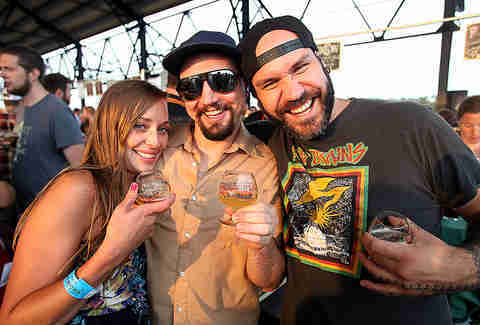 As the geography expanded, so did the offerings, mightily: scads of other craft brewers from around the nation were also invited to come and share their wares with the legion of adoring beer fans in attendance. 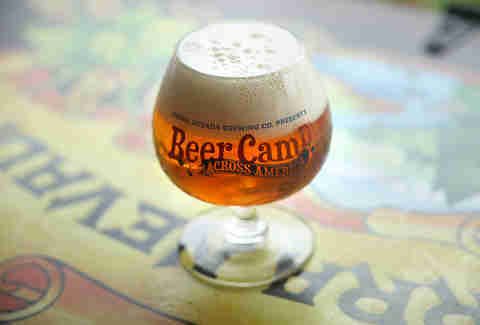 After a breather in 2015, Beer Camp Across America is back for another round, this time in six cities. Here is your brochure to Beer Camp ‘16. So, exactly which craft brewers were invited? The answer is simple: All of them. 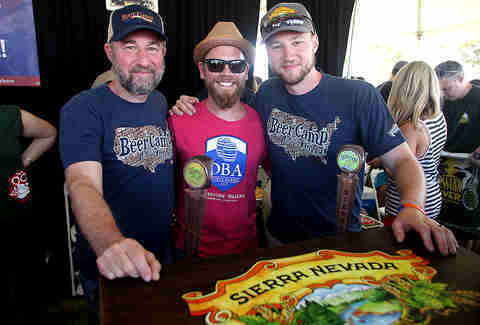 That’s right: for Beer Camp Across America, Sierra Nevada invites every single craft brewer in the country, and they’ve responded by the hundreds. 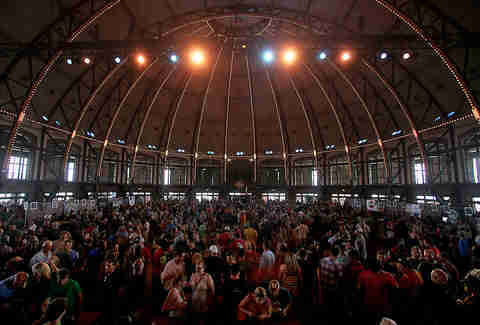 Of the more than 700 beer festivals in North America, most draw a few dozen brewers. Only a small number crack the three-figure mark. But thanks to Beer Camp’s roving nature, the lineup across all stops currently stands at 691, with more still joining -- that’s more than 15% of all craft breweries in America. The guest list spans from esteemed veterans like Breckenridge (founded in 1990, and don’t you dare miss their vanilla porter) to newbies like Trillium (three years old and already one of the collaborators on this year’s Northeast contribution). In addition to a veritable lake of lagers, IPAs, stouts, pilsners, ales, and more, each Beer Camp also has plenty of its city’s best food trucks on hand to help you soak up those suds. Of course it wouldn’t be Beer Camp without those limited edition Sierra Nevada collaborations that started the whole thing. All six will be featured at each of the Camp’s city stops (though the coveted 12-pack collecting them won’t be for sale at the festivals). So what beers did each region favor us with this year? Sweet Sunny South -- From the Southeast comes a summery table beer that takes its cues from tea, peaches, and corn grits. Be aware, though, that at 4.9% ABV, this beer is less Belgian table and more Southern porch. Moxee-Moron -- The Pacific Northwest takes the other extreme with its ultra-hoppy Imperial Session IPA. Hopped at four stages, this beer derives its name from Imperial beers’ heavy ABV and strong hops set at odds with session beers’ low ABV and balanced malt/hops flavors. And from Moxee, WA, of course. West Latitude -- Northern California adds a touch of Hawaiian hibiscus flower to this session beer. Now that sounds as light and crisp as a spring Sunday in Stockton. Family Values -- Showcasing the best of the Midwest, it’s stuffed full of Minnesota wild rice, Indiana honey, Missouri oats, Illinois cocoa nibs, and Michigan hops. The other seven states in that region contributed the secret ingredient: love, which is the real flavor here. No, that’s a lie; the real flavor is ale. Wonderful, brown ale. Pat-Rye-Ot -- The Northeast introduces a pale ale that’s as heavy on the rye and apples as a callback to this region’s agrarian roots. Wouldn’t it have been great if they’d commenced this brew by hurling a box of English tea in the harbor? Next year, Colonists. Next year. Stout of the Union -- The sunny, dry Southwest plays against type with its rich, roasted malt. The brewers recommend it as a great beer to sip by the beach, which makes this beer as deliciously contrarian as its brother Moxee-Moron. You can try all six beers at each of the festivals along with...dang, hundreds upon hundreds of others from various craft brewers. Despite the regionality of the stops, you’ll still get a chance to try tons of beers that might not be widely distributed in your area. And don’t fret if you miss a brewer at a stop -- many of these folks will attend multiple festivals, so you could get a second chance. Sure thing. General admission is currently $50, but will go up to $65 after advanced ticket sales end, so get yours early. Also note that for an extra $20, you can get in an hour early and make a head start on the hundreds of beers waiting to be tasted. If you still don’t try everything on your beer bucket list, then follow the example of Deadheads, who followed Jerry Garcia’s “The Sweet Sunny South” around... well, the sweet, sunny south... and beyond. Nick Leftley is a stand-up comedian, writer/editor, and owner of some very silly hair. Tell him you'd like to hire him on Twitter @NickLeftley. Brendan McGinley got beaten up at summer camp by a counselor. He much prefers the community and joy of Beer Camp. Salute his shorts @BrendanMcGinley.